Country Living With Endless Possibilities!! 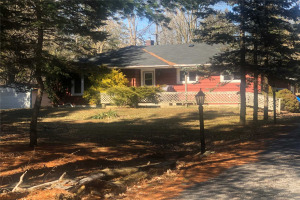 On A 3/8 Acre This Lovely Property Makes A Perfect Starter Or Investment Home! This Property Is Full Of Opportunity! Well Maintained, Excellent Business Location, Large Living Spaces, Ample Parking, Great Loft Space! The List Goes On! Book A Showing To Envision Your Dream In This Home! W4036887- Buy This Lot Beside And Open It Right Up For A Great Investment, Downtown Caledon East!! The Growth In This Neighbourhood Is Outstanding! Commercial And Residential Zoning.